The Romeo y Julieta Exhibicion No.3 is a rich and creamy Corona Gorda, medium, with a 46 ring gauge, 5.6” (143mm) long and comes in a box of 25 cigars. This Cuban cigar is a Powerhouse Corona Gorda with lots of character: earthy, spicy with musc aromas. 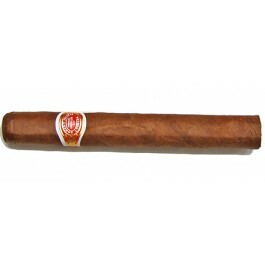 A magnificent format from Romeo y Julieta, with a splendid blend and deep aroma and flavor. A demonstration that the brand can adapt itself to modern times and new tastes. One of the Romeo y Julieta cigars with greatest prospects for the future.